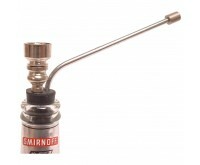 The water pipe, also known as the shisha or hookah, is traditionally a device for smoking flavored tobacco. 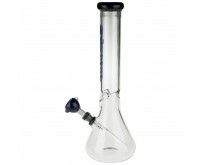 The bong is a special type of water pipe, used for smoking cannabis or hash. 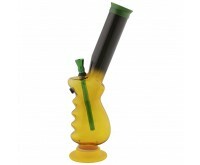 At the Dutch-Headshop you can also purchase your new water pipe, also known as shisha or hookah. The product range of Dutch-Headshop contains an extensive selection of beautiful and well-functioning water pipes. There are so many different water pipes, all with its own features. For example, a water pipe can be made of different materials. You can choose between water pipes made of glass, plastic, metal or wood. Glass and plastic water pipes are the most common in our product range, and both types are easy to clean. Within each category, you can choose among different sorts, sizes and prices. In principle, a water pipe is meant for smoking flavored tobacco, yet it often used for smoking marijuana or hash as well. This special water pipe we call the bong. Prepare a water pipe or bong by filling the pipe with some water and then put your marijuana or hashish in the bowl. Then, put a screen or gauze in the bowl to prevent marijuana crumbles will enter your mouth when smoking the water pipe. A water pipe has several important and interesting advantages. These benefits are shown below. A water pipe can be filled with all kinds of herbs and pure smokables. Low temperature and thus more comfortable for your throat. Dude and Eject a Bowl are our go-to brand water pipes. All water pipes of these premium brands are made of glass. Dutch-Headshop has three different Dude water pipes in its product assortment. The smallest water pipe measures 22 cm, the middle one 30 cm and the largest 42 cm. Dude water pipes are very robust, with a glass thickness of 3 mm. The edges are nicely finished and it's a very modern pipe. Dude's water pipes are of high-quality. Eject a Bowl is a Dutch design water pipe and an improvement of the already existing water pipes. Eject a Bowl's water pipes are characterized by the spring mechanism below the bowl. The spring mechanism allows the bowl can be quickly emptied and cleaned. The water pipes also come with Ice Catchers. Its top side can therefore be filled with ice cubes. This will cool the smoke and the taste is even softer for your throat. The glass thickness of Eject a Bowl water pipes is 4 mm. 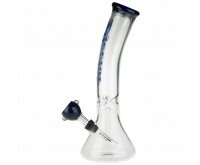 Discover the comfort and advantages of smoking the water pipe or bong and order them online at Dutch-Headshop.